Gambling addiction is something that affects people in a deep and often profound way. They know that the problem is hurting themselves and their families, but they really don’t feel compelled to actually stop. Someone else has to step in and intervene, even when it feels like it’s impossible to do so. You don’t want to think that you are always going to struggle uphill. You just need to think about the type of life that you’re ultimately building. The first step out of gambling addiction is to ask for help — loudly. If someone ignores you, you need to go elsewhere. You need to find a support group. Even if you don’t have a support group in your geographical area, you can find one online that’s willing to talk with you. Sometimes it just helps to hear from someone that’s already been in the soup with you. Sometimes it’s good to be told that it’s okay not to have everything under control. Sometimes you just need to figure things out and then go from there. If you were to just sit through life never getting anything done, you’d be in a real world of trouble. Surely there’s got to be a better way, right? Absolutely. You need to always think about the type of life that doesn’t involve giving all of your money to gambling halls and other sources of gambling. You have to be aware of all of the triggers that make you want to go out and gamble. Are you hanging out with a lot of gambling buddies? You might need to avoid them for a little while until you get this under control. While this may strain some relationships at the beginning, that doesn’t mean that it has to be the end of everything. It’s quite possible to make sure that you are staying on track — and when you have things under control you can indeed speak to those people again. If they truly want to see you conquer this problem, they will be behind you 100% percent and be more than willing to do just about anything to get you there. What about when you feel trapped and hopeless? You need to find activities that don’t involve gambling. 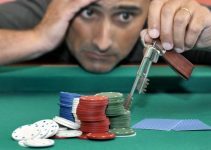 The trouble with gambling addiction is that there is a feeling of having to gamble quite frequently in order to remain in control of yourself. If you start feeling deprived, it’s a sign that you need to keep finding things that have the same high level of activity that gambling does. You never know — a new hobby could be just what you need. You will need to make sure that you avoid gambling. There’s just no way that you can let gambling back in. You might have to go to therapy in order to understand what you’re really getting out of gambling. That’s the big deal that’s only going to get bigger as time passes on. Why not check it out for yourself today? Trust us — you do have the power to overcome this. Millions of people all around the world have problems with gambling, but they have managed to overcome them. They didn’t do it alone — they go the right resources and built a plan that worked for them. What you will ultimately find that is that there’s “quick process’ to overcoming gambling addiction. You may fight for years and years — get to a success point…and then slide downhill again. There’s so many different things that you have to think about, but hey — we’re right here with you, fighting the good fight. Don’t give up!